Picture a tranquil woodland setting with nothing to disturb it but the gently cascading River Maine and you’ve arrived at this opulent rural retreat. 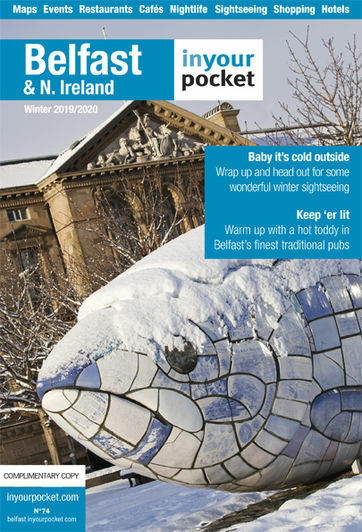 Set amid 163 acres of picturesque parkland, it's easy to forget Belfast is a mere 40 minutes' drive. 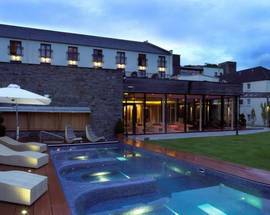 With the recently opened Thermal Village and Deluxe Room wing, the Galgorm offers a truly unrivalled overnight, spa and dining experience. 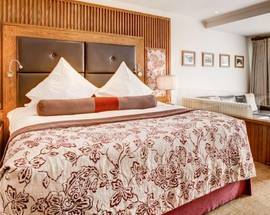 The Resort's main hotel features 122 bedrooms, each reflecting its ‘Gentleman’s Residence’ meets contemporary chic ambience. Junior Suites and Deluxe Rooms have a separate check-in and balconies overlooking those outstanding river views. 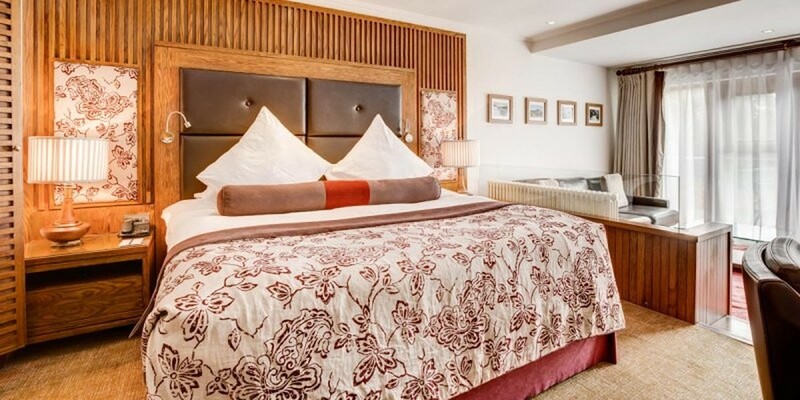 While the Superior and Standard Rooms provide equally sumptuous design touches. A selection of meticulously appointed self-catering cottages & log cabins complete the good night line-up. The art deco-style Four Seasons Suite and The Great Hall are both go-to destinations for special occasions; you're bound to spot a bridal party in what are two of NI's most popular wedding venues. 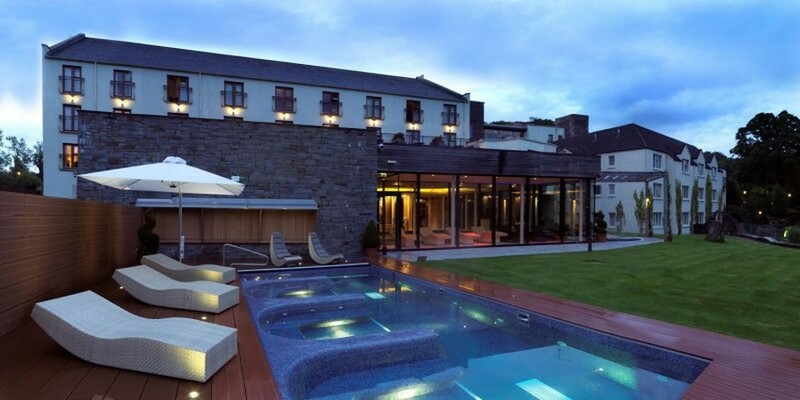 Whether a resident or daytripper, though, it's the glamorous Spa at Galgorm and stunning new Thermal Village that has locals and tourists flocking to this deluxe destination. 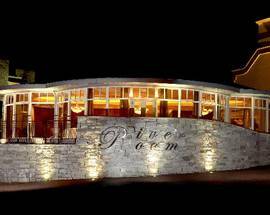 The beautifully landscaped indoor/outdoor fusion of sublime self-indulgence is truly unlike any other in N. Ireland. Pad along the open air boardwalk in your robe and slippers and delve into the Beltane Hot Tub & Fire. This elemental emersion is inspired by its Celtic moniker which means 'bright fire'. Share a dip in the 12-person tub then step into the sunken fire area for some flaming fabulous relaxation. 'Me-time' continues at the spacious Celtic Sauna and nearby River House where a Sauna Master can put you through your meditative paces against the inspired backdrop of those stunning river views. And more al fresco fun awaits at the Outdoor Jacuzzi Pool where a small group of friends can enjoy a chat in one of its bubbly nooks. Or you can hire a private tub à deux for a cosy riverside soak. Back indoors, the 20m indoor pool, sound and light effect Snail Shower, essence infused Sanarium and -10° Snow Cabin continue the intensive reinvigoration. As if all that wasn't enough, there's always the hydrotherapy pool and heated cabins serving up several steam and sauna options to kick start your system. And, for fitness fanatics among you, look out for the soon-to-open Gym. Romantics among you can share a couple's beauty treatment in the Paris Suite with its super-sized twin baths and side-by-side couches. While groups can book their own private pamper room, too. Hammam Body Scrubs, Hot Lava Shell Massages and Aromatherapy Experiences are among the imaginative treatments to behold. And to round off your spectacular spa experience, recline on the Orangery's day beds and swing chairs while browsing magazines and sipping fizz or herbal tea served from the Elements Spa Cafe. All that good work goes out the window at the cavernous and rustic Gillies Bar & Grill. Still, with the ever-popular Bang Bang Chicken up for grabs, we’re not complaining. Fratelli, Galgorm's Italian Restaurant & Bar, provides an airy rustic alternative with traditional Italian pizzas, pastas and salads on the menu. 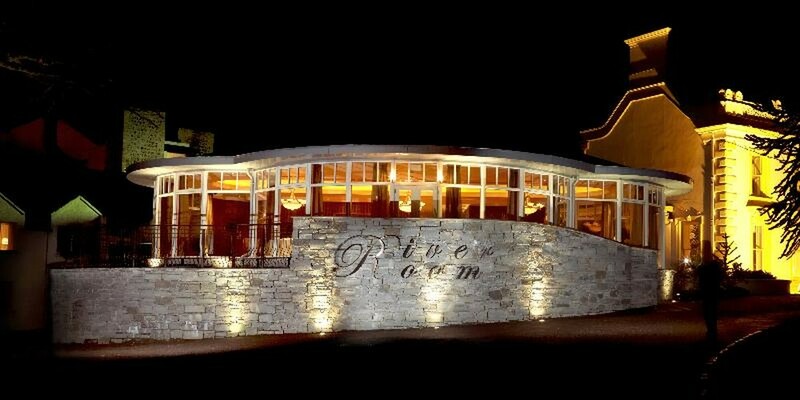 Afternoon Tea is served daily at the 3 AA Rosette award-winning River Room & Conservatory Restaurant which, from Wed-Sun, also delivers a fine dining experience using Galgorm's own kitchen garden produce and local suppliers. And a tipple or two in its Champagne & Gin Bar consolidates that deliciously opulent air. Take advantage of your countryside setting with a trip to nearby historic Gracehill village whose 18th Century Moravian origins are reflected in beautiful stone buildings, visitor centre and restaurant. Galgorm is also the ideal central location for daytrips to Belfast, the Giant's Causeway and Derry City. Treat yourself to the Spring Escape package from £107.50pp for STAY/ SPA/ DINE. Take the 40min car journey north from Belfast, turn left just before Ballymena and follow the signs to Galgorm village... et voila, your country retreat awaits!